Me and the boys. My poor husband is always the picture taker. Walking. That is what we do. 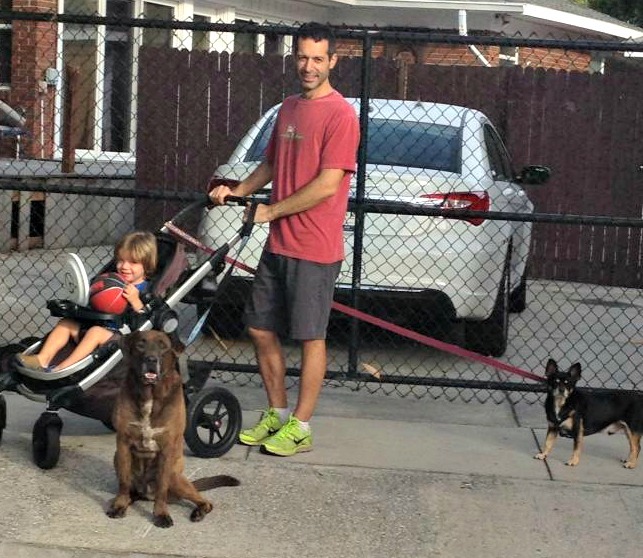 Every morning and night, there we are- my husband, myself, our son in his stroller and our two furboys Abe and Chico. Sometimes it is hot as hades, other times it is sweater weather and sometimes it is drizzling rain (our son and at least one of our dogs love it most when it rains). When I say walk, I don’t mean we leisurely stroll. I mean WE- GET- OUR- WALK- ON! So often people who see us will say, “Wow, we saw you guys walking this morning on our way to work and you really move!” Yes, we do. Yes, Yes, Yes- to all of the above. 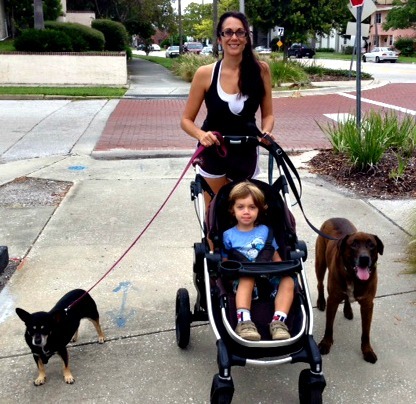 I promise you that walking my dogs helped me to gain only 20lbs during my pregnancy and helped me burn it off afterwards. 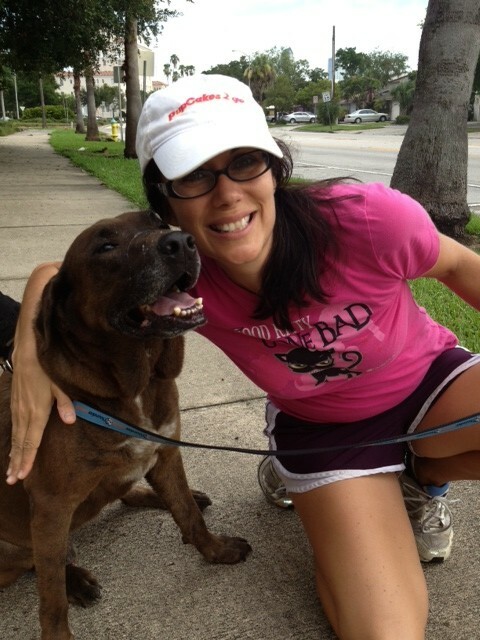 My furkids Abe and Chico were my incentive to get out there and move my buns. Good for Your Dog– The plight of the common dog today is one of being a couch potato. Just not enough exercise. Obesity, anxiety and behavior problems are all a result of too much lying around. Walking however is something that most dogs can do and is an exercise that you can build upon and change based on the age and needs of your dog. When we rescued Chico 3.5 years ago, he was anxious and would wake up at all hours of the night pacing, wanting to go outside. When I ramped up our walks, the anxiety and night haunts ended. Thank goodness! Cristan (my husband) with our pack. Good for Your Relationship- I love talking about this one. My husband and I have a decently strong relationship and I give a lot of credit to our walk routine. We talk a lot on our walks. We belly laugh until tears streak our faces. And, maybe most importantly, we fight like cats and dogs too. But the beauty of it is- we have 2.5 miles of walk time in the morning and in the evening to air it all out. And we do. Sometimes rather loudly. Although brisk walking is not the same as pumping weights, running a marathon, or burning 1,000 calories per hour, it will give you the chance to talk it out or enjoy your pack together in complete silence. This to me is the most important.